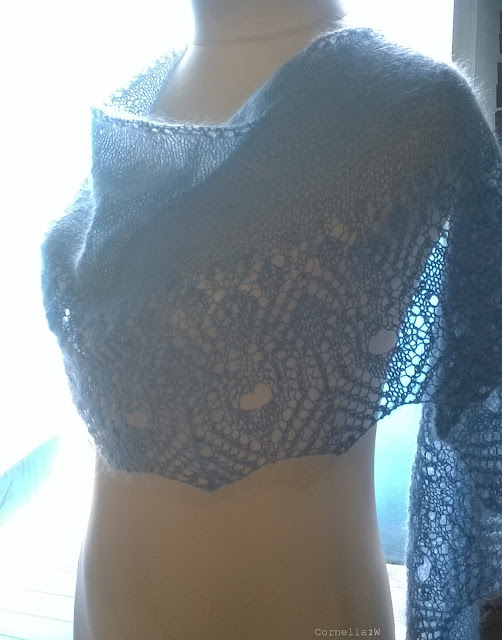 This shawl pattern I got from Ravelry Store, the title is Diamonds and purls (Pärlor och paljetter) by JennyPenny. 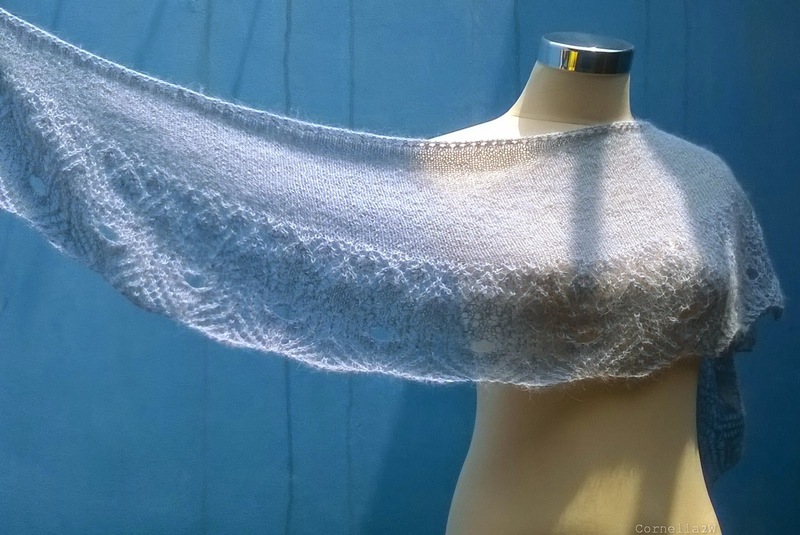 You can download it for free on Ravelry, but I don't know if it's free for temporary or not. I love free pattern, especially if the pattern is very pretty and free. I made this shawl for KAL held by Papiput Shop, the online yarn store in my country. The yarn that I used is GGH Suri Alpaca, mohair yarn. It's fine to knit use mohair yarn, as long as not to make mistake. 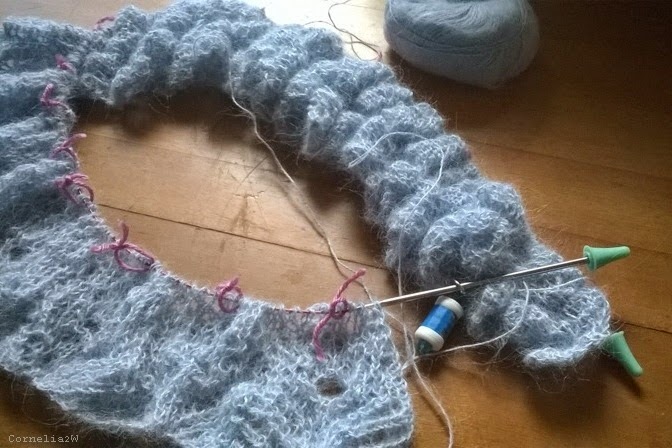 Because the yarn is thin and hairy, it is difficult to fix if there is an mistake. And unfortunately I made a mistake in cast on. Cast on should have 402 sts, but mine is only 400 sts. And I realized after I knit until the tenth row. At the beginning of work, I was bored for making cast-on as much as 402 stitch. But I started to enjoy it when working chart. At first I thought this pattern is difficult, but it is easy to understand and worked. the third day .. just started fifth row ..